Betting firms, health bodies and charities are to unite for the first time under a three-year strategy to make “much faster” progress with cutting gambling-related harm. William Hill swung to a loss last year amid challenges to its betting shops on the UK high street. A cap on the amount punters can stake in online bets is among a number of Labour proposals to tackle the “public health emergency” of problem gambling, the party’s deputy leader Tom Watson has announced. Standards protecting children from irresponsible gambling ads have been strengthened to stop firms “playing at the margins” of rules, the regulator has announced. 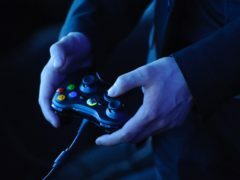 Online gambling operators will have to verify customers’ ages and identity details faster under new rules to protect children and the vulnerable, the regulator has announced. Paddy Power Betfair is splashing out £101 million to acquire a majority stake in Georgia’s biggest online gaming firm. Fortnite will now show users the contents of paid loot boxes before they purchase them, following long-running comparisons to gambling. An Aberdeen MSP is lending his support to a social media initiative that aims to raise awareness about the relationship between football and betting. An Aberdeen gambling addict who stole parcels from his job as a delivery driver to pay his debts was caught out – after his bosses followed him. 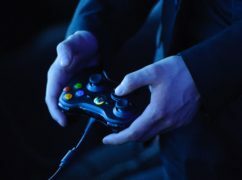 A senior politician has accused the UK Government of “dragging out” the introduction of a measure to help gambling addicts. A north-east woman whose partner took his own life due to gambling addiction has welcomed new restrictions on roulette machines. An MSP has pledged support to lower the maximum bet for Fixed Odds Betting Terminals to £2. Students should get more help from Aberdeen’s universities to prevent them from becoming hooked on gambling, an MSP has said. An MSP has called for tougher action on Fixed-Odds Betting Terminals after £9 million was made in Aberdeen last year. A lucky gambler has scooped more than £64,000 at the blackjack table in an Aberdeen casino. WHEN Scott Campbell woke up, little did he know that within 10 minutes he would be almost £50,000 richer - by gambling from the comfort of his bed.